Over 100 million people tuned into the Super Bowl Sunday night, once again highlighting the game’s singular popularity. But aside from this huge once per year spike in sports enthusiasm, a simple fact remains: if you subscribe to pay-TV services and are not a sports fan (or are just a casual one), you are paying a lot of money each month for very expensive sports-oriented cable TV channels, which you mostly don’t watch. This degree of wasteful overspending, which could amount to at least $2 billion every year (as I’ll detail below), creates a mile-wide opportunity for entertainment-oriented over-the-top entrants to prosper. The value of sports programming was a topic we tackled last week at the MIT Enterprise Forum (panelists included Mark Cuban, Avner Ronen, Paul Sagan and me). Moderator Woody Benson challenged us at the start with how he could reduce his current $260/mo cable bill. As part of the discussion, Mark volunteered that pay-TV operators probably spend around $10 per month in licensing fees just for sports-oriented cable channels (these include channels like ESPN and its sister networks, TNT, and Regional Sports Networks, “RSNs” like NESN and Comcast SportsNet here in the Boston area and others). Mark estimated that this adds up to about 25% of the total monthly amount pay-TV operators spend on programming. My sense is that Mark’s $10 per month amount might be a little high, but since he owns the Mavericks and sees the TV deals, he’s in a good position to know. One of my points in the discussion was that if you aren’t a sports fan, or only casually watch games that might be available on free broadcast TV, you could save a lot of money by dropping your pay-TV subscription and just assembling the entertainment-oriented pieces from sources like Netflix, Hulu Plus, etc. Of the 100 million subscribers, about 83 million are digital, which is now essentially required to get this cluster of sports networks. It’s hard to estimate how many of these are non-fans or casual fans, but let’s just say it’s 20%. which means about 16.6 million (as just one data point, it turns out there are approximately 16 million single female/no children households in the U.S. Not to gender stereotype, but these would likely be a good chunk of non-fans or casual fans). Since Mark’s $10/mo estimate feels a little high to me, I bumped it down to $8/mo. But to recoup that expense with a 50% margin, the operator charges $12/mo (note that typical entry level digital packages, including the main sports networks, cost around $60/mo from Comcast, Verizon, DISH, etc, after first year promotions end, so sports access alone is about 20% of the bill). So 16.6 million subscribers x $12/mo x 12 months = $2.4 billion spent each year for access to unwatched sports channels. Admittedly, that’s just an estimate, but it does begin to shed light on the magnitude of non-fans’ and casual fans’ annual sports subsidies. On this point, while a lot of attention has been focused on ESPN as the most expensive sports channel, equal time should be spent on the rise of the RSNs that are often own wholly or in part by teams themselves. Not so long ago these RSNs were considered “mini-pay” networks; they required subscribers interested in viewing them to pay incrementally above their basic service. However, RSNs around the country have made a huge and successful push to be carried in entry-level digital packages, which are required to receive most popular channels like USA, MTV, CNN, etc plus features like VOD and HD. Once included, RSNs receive monthly affiliate fees from pay-TV providers for the majority of their subscribers, whether they’re fans or not. What that means is that when your home town’s baseball team signs a high-profile player to an 8 or 9-figure deal, ALL regional subscribers are helping foot the bill, not just those that will actually tune in to the RSN to watch him play. Why is all of this so important to understand? Because as I wrote a few months ago in “Are Live Sports Pay-TV’s Firewall or Its Albatross?”, sports are a key culprit in driving up the underlying cost of monthly pay-TV services, which will inevitably cause more households to ask, like Woody did at MIT last week, how can they reduce their bill? 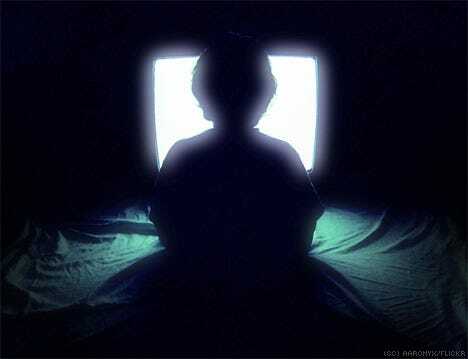 For non-fans and casual fans that are mainly interested in entertainment-oriented programming, awareness of attractive substitutes like Netflix and Hulu Plus is escalating, along with the proliferation of connected devices that enable viewing them on the big TV. Over time more and more of these people are likely to conclude there’s a mismatch between what they really watch vs. what they’re spending on services. I don’t agree with the point Mark repeatedly made during the discussion, that today’s pay-TV model is still the easiest and the best, and that many people just want to sit back on the couch and stick one hand in their pocket and the other on the remote. Yes, there is a portion of the population still like that, but Mark’s assessment of over-the-top delivery as all “hype” is much too cavalier. The reality is that there is a growing group of people who are increasingly thorough about their monthly spending patterns, either by choice or necessity. As those who are more entertainment oriented, and spend more of their time watching via Netflix and Hulu Plus, their personal lightbulbs will go off that their pay-TV subscription is starting to feel awfully expensive for what they get out of it. Fair enough, cord-cutting isn’t sweeping the land just yet, but pay-TV providers are taking a huge risk if they assume non-fans will continue massively subsidizing expensive sports channels indefinitely.